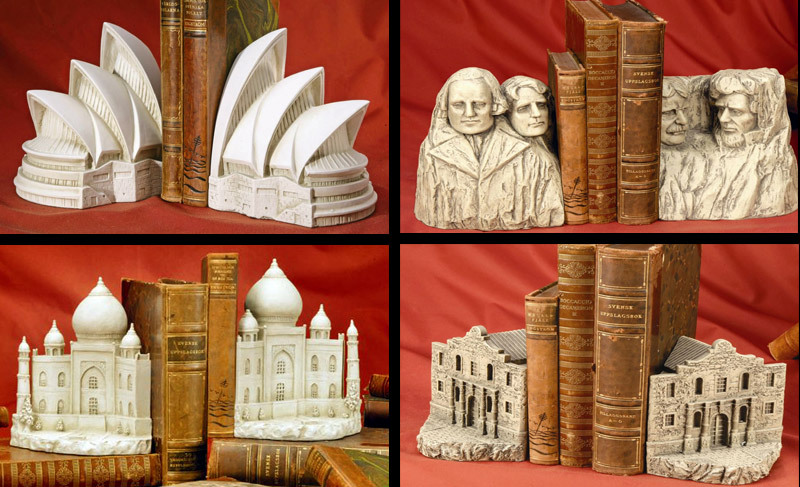 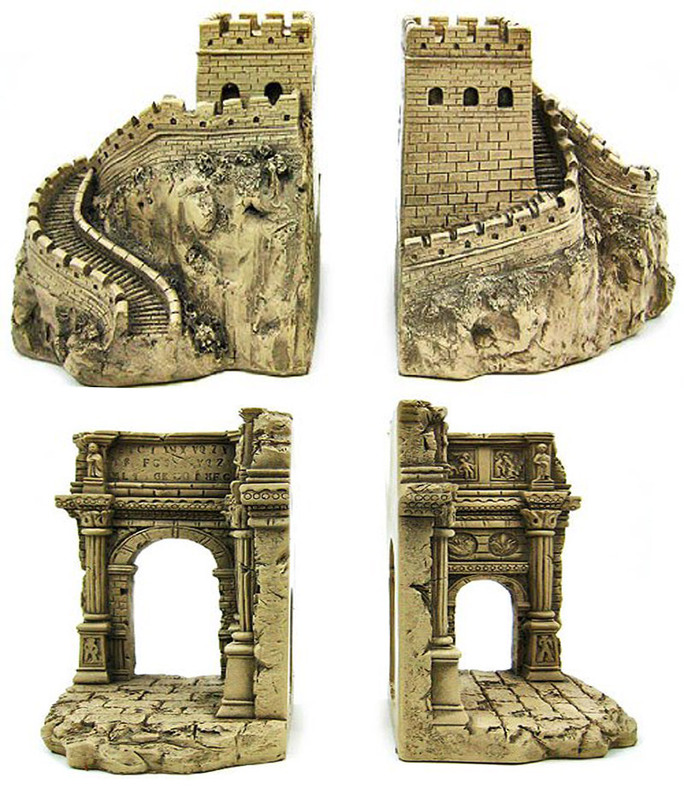 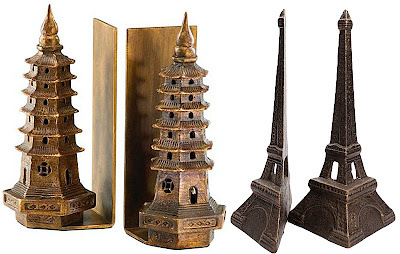 I searched the Internet to find building-shaped bookends available online. Made of various materials like metal or resin, these pillars, pavilions and pediments create stylish parentheses that add panache to your architectural books. 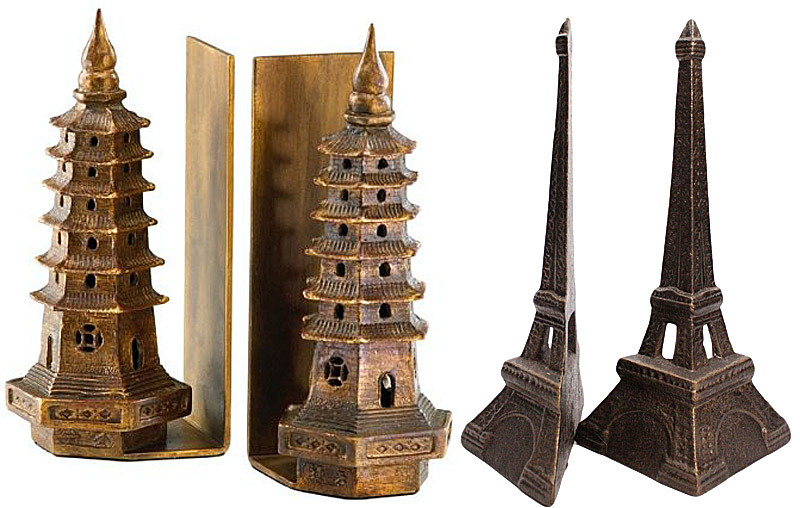 Check out the links below. I previously wrote about other building bookends.